It’s great to see our client, Predator Experience, in the national press. The Guardian’s article takes the reader on a magical walk over Lakeland fells with the pack of Timber Wolf origin pups. 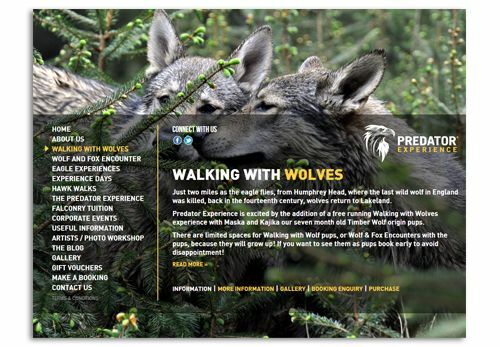 We’ve worked with Daniel and Dee for several years and produced print, advertising, branding and most recently a website for Predator Experience.